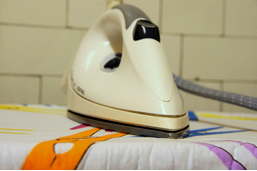 When thinking about iron, it’s easy to associate it solely with the old ironing board and starchy, pressed shirts. But we require dietary iron – iron helps your blood cells carry oxygen throughout the body. Without enough iron in your diet, iron-deficiency anemia can develop leaving you feeling tired, weak, dizzy, and short of breath. Anemia is of particular concern for older adults – in the US over 3 million adults aged 65 years and older have anemia, with men and women being affected equally1. In older adults, researchers have found that anemia is associated with decreased mobility, decreased quality of life, increased risk of depression, increased risk for dementia and increased mortality2. If you’re concerned you may have anemia, your doctor can perform a simple blood test. The good news is that iron-deficiency anemia may be prevented with sufficient dietary intake of iron – 8 mg/day for adults over age 513. Iron found in meat products, such as lean red meat, pork, poultry, fish and liver, is best absorbed. Other iron-rich foods include beans, lentils, dark leafy green vegetables, and fortified cereal. By eating foods high in Vitamin C with the iron-rich foods, you increase the amount of iron your body can absorb. 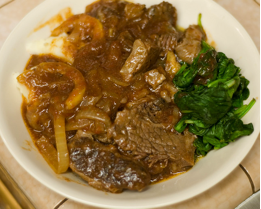 So add citrus fruits and juices, tomatoes, melons, dark leafy greens or potatoes to your meal. However, be aware that certain foods decrease the body’s ability to absorb iron, such as tea and coffee – so enjoy your coffee and tea between meals instead of with your meal. Preventing iron-deficiency anemia can be as simple as including iron-rich foods and foods with Vitamin C in your 3 square meals a day. So when you wake up, you may iron your clothes, but more importantly remember to have foods with iron and Vitamin C at breakfast! 1. Guralnik, Jack M., et al. Anemia in the Elderly: A Public Health Crisis in Hematology. Hematology, Jan 2005; 2005: 528 – 532. 2. Bross, M., et al. Anemia in Older Persons. American Family Physician, Sept 2010; 82: 480-487. 3. Marian, M. and Sacks, G. Micronutrients and Older Adults. Nutr Clin Pract, Apr 2009; 24: 179 – 195.